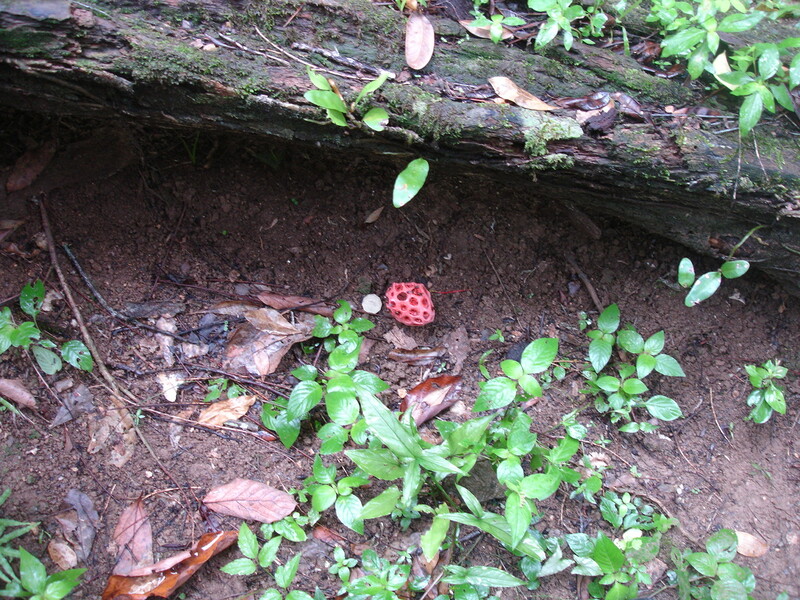 Photos by Bob Thomas, Chaa Creek Restort (tented camp), Cayo District, Belize, August 2007. 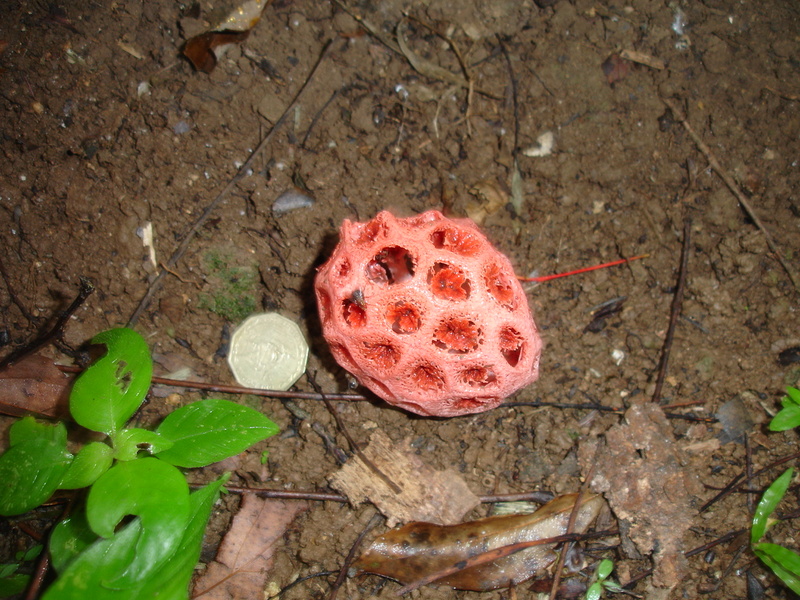 Clathrus crispus is a stinkhorn, and flies spread the spores. 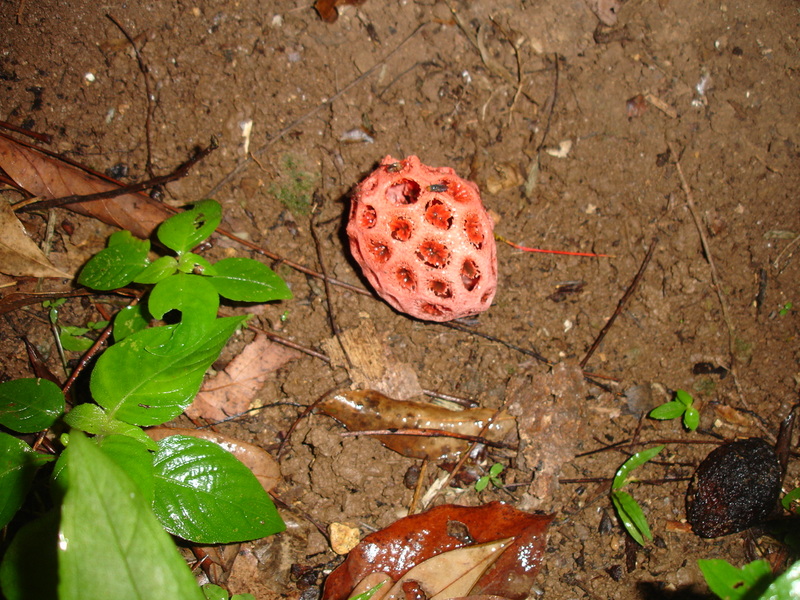 This beautiful little wiffleball mimic has a layer of dark, olive-brown slimy spores (called a gleba) on its inner surface. Flies enter, and fly away with spores. Really cute, but a bit stinky. The appear after heavy rains, and begin to deteriorate within hours. This species also occurs in the temperate Gulf Coast area from Florida to Louisiana.